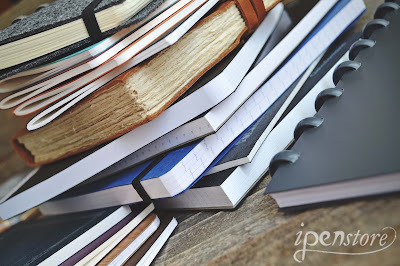 Check out ipenstore.com for over 300 different paper and notebook options! Some other factors include the cover material, perforated sheets, and number of sheets. Keep reading below to learn more about each main factor in detail. In the US and Canada, the "Letter" is the most common paper size. However, almost every other country uses the international standard paper size, where the A series is the most common and the A4 size is most popular. 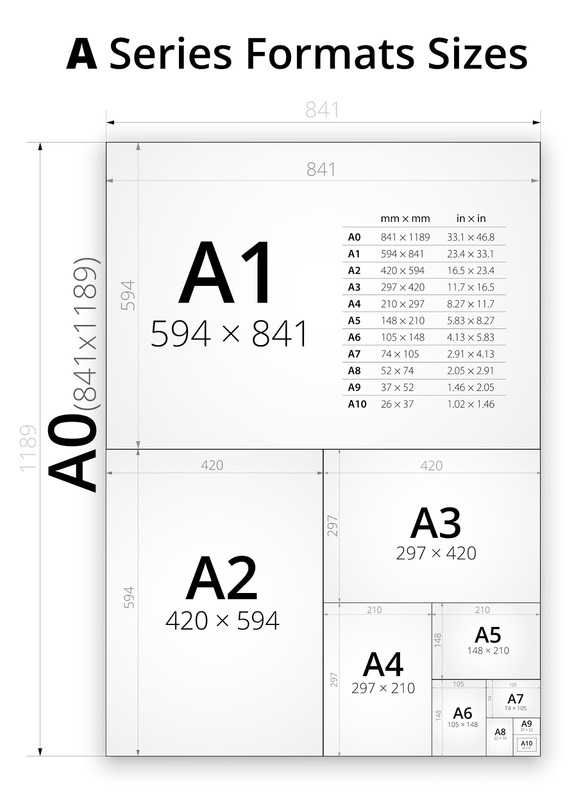 An A4 size is 8.27" x 11.7", which is very similar to the standard "Letter" size of 8.5" x 11". Most of the paper at iPenstore.com is international sized paper, based on the A Series. The A Series starts with A0, which has an area of 1 square meter (841 x 1189 mm). As you can see from the image below, each successive paper size (from A1 down to A10), is half the size of the previous size. Here at iPenstore.com, we stock paper from the A4 size and smaller. Check the description of each item on our site for the specific size. Other international paper sizes include the B and C series. Each series follows the same successive paper size pattern as A (each lower size is half the previous size). The B series was designed to provide a wider range of paper sizes, and is slightly larger than A. The C series was designed specifically for envelopes (the C series provides enough space for an A series sheet). 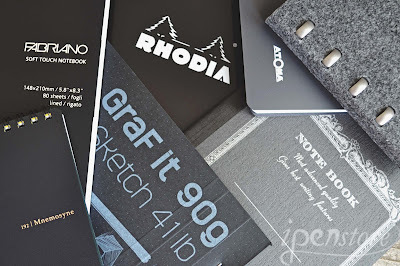 Our three most popular paper brands are Rhodia, Clairefontaine, and Atoma. Our Clairefontaine notepads are typically size A4 and A5 (or near the A5 size). Rhodia offers a wider variety of sizes. At iPenstore.com, we stock all of Rhodia's standard notepads (Rhodia sizes #8 - #18), as well as wire bound meeting books and note pads, weekly planners, pencils, and more. The Atoma brand is famous for its disc-bound system. The pages on Atoma notebooks are refillable, and re-positionable. Pocket notebooks are small enough to fit in a purse, bag or pocket. 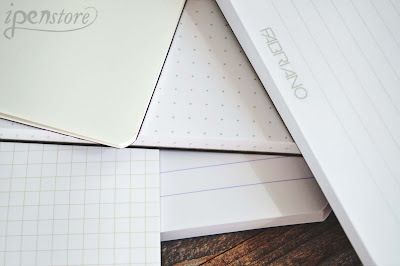 They are great to have around when you need to jot something down, make a list, or take some quick notes. We have a wide variety of pocket notebooks available at ipenstore.com. 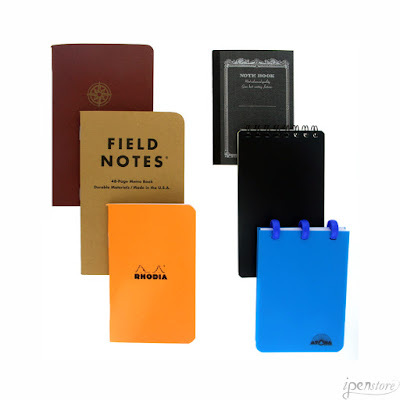 Our most popular brands of pocket notebooks are Rosetta Notes, Field Notes, and Word. All are sized at 3.5" x 5.5", and are made in the USA. Rosetta Notes feature ultra-smooth, ultra white, fountain pen friendly paper. Field Notes and Word feature a wide variety of cover styles, and different themes. Paper weight is most commonly measured by grams per square meter. One of our most popular notepads, the Rhodia Dot Pad, is made from 80g/m2 paper. Rhodia, Clairefontaine, and a few other brands of paper are considered to be "Fountain Pen Friendly" (which makes up most of what we stock). This means the paper is a higher quality, smooth, and is designed to allow fountain pens to glide more easily over it. This paper is also better for fountain pen ink, as it will limit bleed through and feathering. The weight of "Fountain Pen Friendly" paper will generally fall in the 80 to 90 gram per square meter range, however heavier or thicker paper does not always mean higher quality. Rhodia 80g paper is considered to be great for fountain pen use, but some consider Tomoe River (52 g/m2) to be even better. Tomoe River paper is extremely thin, but is exceptionally smooth and has the same "Fountain Pen Friendly" qualities of thicker paper. This is because of the other factor, grade. Paper grade is determined based on surface treatment, color, the raw materials used to manufacture it, and the finish. Most of what we stock is High Grade Vellum paper (the Rhodia Dot Pad, for example). Vellum historically refers to parchment made from calf skin, however modern paper vellum is manufactured using synthetic material (plasticized cotton). Other material types include wood fibers, agricultural residue (straw, grass, or other plant fibers), and recycled products. When writing with a fountain pen, we always recommend using paper specifically manufactured for fountain pens ("Fountain Pen Friendly" paper). Standard or other specialty paper can have treated surfaces which can cause ink or other debris to back up and clog or damage your nib. For example, some copy paper can be "dusted" or treated with powdery substance to enhance feeding through a printer or copy machine. Blank is great for drawing and sketching, or pretty much anything else that does not require structured straight lines. Lined is best for taking notes, starting a journal, and every day writing. Most of the lined notebooks we stock are spaced at 7 mm (college ruled paper). Grid/Graph and Dot work well for making lists, sketching floor plans, designing in detail, and making mazes! The standard size for dot and graph is 5 x 5 mm. French Ruled (also known as Seyes ruling) is perfect for practicing letters and for improving handwriting in general. French ruled paper is the standard school paper in France, but is growing in popularity around the world. It features main horizontal and vertical lines, spaced 8 mm apart, as well as fainter secondary horizontal lines, spaced 2 mm apart. The lines assist in creating correct letter height when writing in cursive. Notebooks and notepads can be bound using a few different methods. The main binding methods are glue, staple, thread, wire (sometimes called spiral), and disc. To further enhance binding strength, methods can be combined (for example glue and thread, or glue reinforced with cloth). There can be pros and cons for each method. 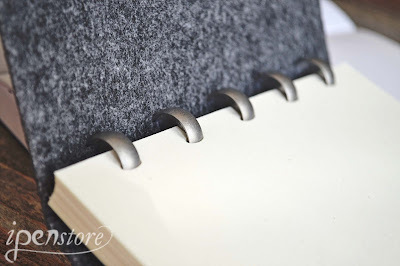 The type of binding can be a main factor in the price of a notebook. Some methods are more simple, and will cost less to manufacture than others. Cost, book size, and durability are all factors of the different types, but each can work well in different situations. For example, a wire bound notebook will have a stronger bind, and it will lay flat when open, but the wire can bend, and it can be bulky at times. Struggling to come up with new ideas? Facing a major writing block? Then change your notebook! Sometimes the right paper can expand your creativity. Writing should not feel like a task. The right paper should make writing even more enjoyable, and just one notebook may not work for everything. Choose the option that works best for each project or situation. If you want to start exploring, click here to browse all the different Paper & Journals iPenstore.com has to offer. Do you have a paper combination that works best for you? Is there an amazing type or brand of paper out there that you would love to see available on iPenstore.com? If so, let us know in the comments! If you have any questions on paper (or anything else pen related), please contact us by phone at 888-747-7367, or by email at support@ipenstore.com. I'd love it if you looked into carrying Leuchtturm 1917 notebooks.I use the A5 version for notes and Bullet Journaling and the A4 Master Slim version for my monthly finances and bill paying. Thanks for the suggestion! We keep hearing good things about the Leuchtturm 1917 notebooks, so we are adding it to our new brands to consider for 2017.